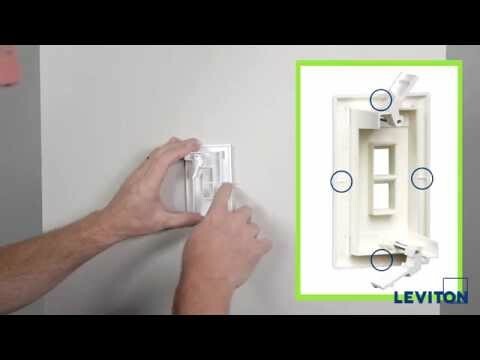 Leviton QuickPort® 1-Gang 1-Port Non-recessed flush mount telephone wallplate features brushed stainless steel construction. 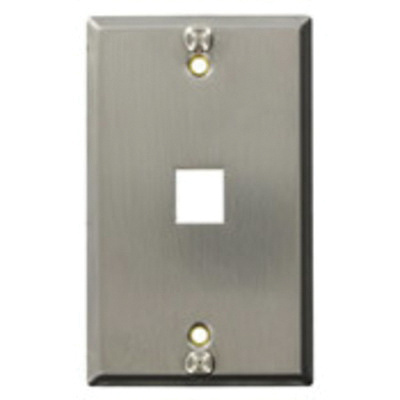 This wallplate has a dimension of 3.13-Inch x 4.88-Inch x 0.26-Inch. It is designed with rivets to support a variety of wall-mount telephones while offering field-configurable flexibility. Wallplate is UL listed.